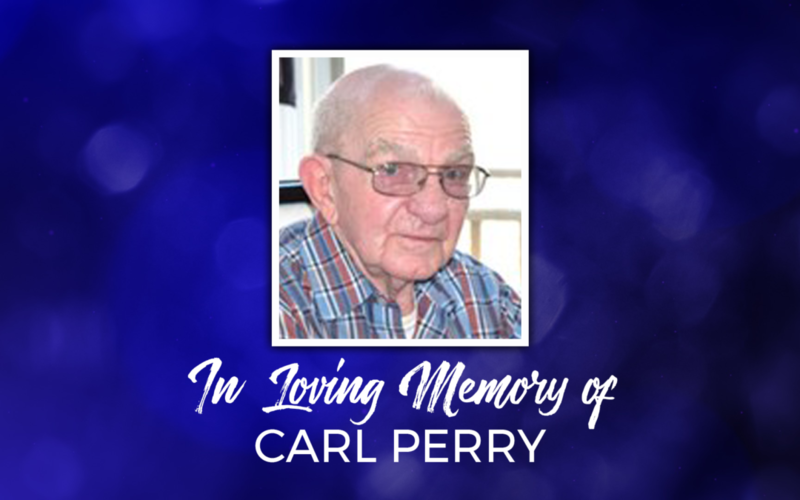 We extend our sympathy to Lois Perry & family following the passing of Carl Perry on Tuesday, March 6th, 2018. Carl E. Perry, 86, entered into rest at 12:48 p.m. on Tuesday, March 6, 2018 at York Hospital. He was the loving husband of Lois E. (Linebaugh) Perry. The couple celebrated 60 years of marriage on November 24, 2017. Born September 2, 1931 in Dover Township, Carl was the son of the late Esther (Becker) March and step-son of the late Oliver March. He served in the U.S. Air Force during the Korean War. Carl and his wife were self-employed and he previously worked at York Tape and Label for 24 years. Carl was a member of Dover Assembly of God and the West Manchester Fish and Game. He enjoyed hunting & fishing and loved spending time with his grandchildren. In addition to his wife, he is survived by two sons, Daniel E. Perry of Manhattan, NY and Shannon E. Perry; a daughter, Carla McMaster and husband, Michael of New Oxford; two grandchildren, Kyle McMaster and wife, Katie of Phenix City, AL and Megan McMaster of Halifax; and two sisters, Jane Thomas of East Berlin and Fern McMaster of Dover. Relatives and friends are respectfully invited to attend Carl’s memorial service at 11 a.m. on Wednesday, March 14, 2018 at Dover Assembly of God, 4790 Carlisle Rd., Dover. Officiating will be his pastor, the Rev. Jeffrey Bender. Emig Funeral Home, Dover, is assisting the family. Memorial contributions may be made to Dover Assembly of God, 4790 Carlisle Rd., Dover, PA 17315. We invite you to use the comments section below to share your memories of Carl, as well as any messages you’d like to pass along to the family.